Swisslos is a lottery platform that offers sports bets and instant tickets in the entire territory of German-speaking Switzerland, in Ticino and in the Principality of Liechtenstein. Additionally, the websites are translatable to German, French and Italian, as a fact, most of its publications – like the annual reports – are written in German. Every year, the entire profit generated from Lottery draws by Swisslos is donated towards public causes through the cantons and the Principality of Liechtenstein. The distribution structure of the lottery funding is left entirely to the canton and the money is usually distributed based on the canton’s needs and requirements as a community using a predetermined formula. This method ensures that the percentage allocation is proportional to the community’s population size and gaming revenue. Since its inception, Swisslos has recorded a donation of about 7 billion francs to charities and public causes with public financial support for over 12,000 developmental community projects especially those focused on sports, culture, arts, environmental development, education, research and social welfare. Yearly payouts go as high as 600 million francs with an average annual profit of about 350 million francs. In the year 2016 alone, the platform generated a total of about 413 million francs which as usual was donated to the canton. Sporthlife, a Swiss football and Ice hockey team is one of the top beneficiaries of the platform’s lottery funding. Unsurprisingly, Swisslos is the leading promoter of arts and sports in Switzerland. 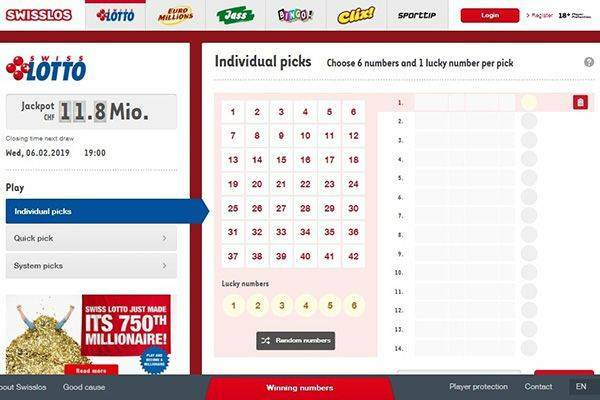 Swisslos operates several lottery products with Swiss Lotto and Euro Millions, the number lotteries being its most popular deals. The Totogoal, PMU and Sporttip are three of the products that deal solely on sports betting. PMU as a classic horse racing bet, sport tip deals on general sports betting while Totogoal is the football betting deal. 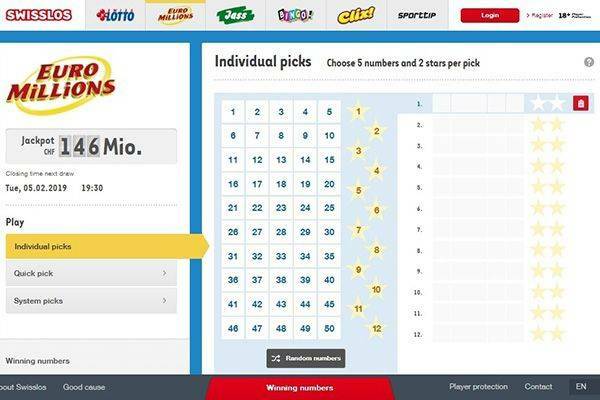 Swisslos also offers instant tickets for various scratch cards games like Happy Day, Win for Life, Podium and Millions, these tickets are available for purchase at retail outlets. 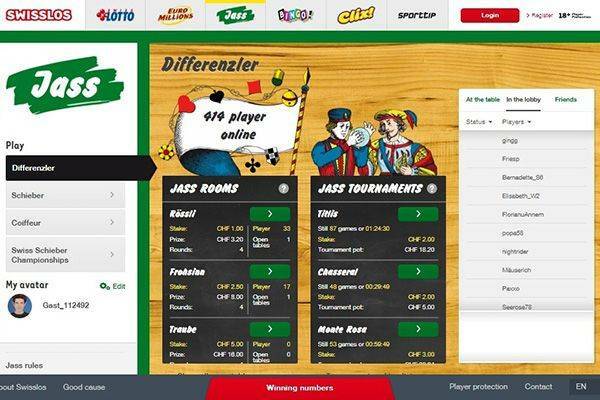 Bingo, another Swisslos product is an online live game with other competitors for a chance to win a bunch of prizes including thousands of francs. Swiss Lotto and Euro Millions both have a twice-weekly draw on Wednesdays and Saturdays for Swiss Lotto while Euro Million takes Tuesdays and Fridays. Games can be played on mobile via the mobile app and on computers as well. Subscriptions are available but no syndicates, however. 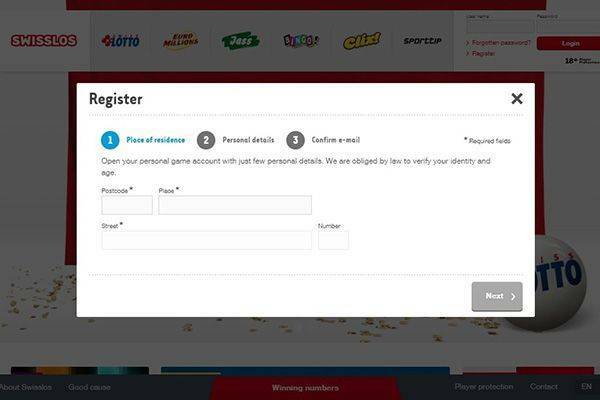 Whether you fancy scratch card games or you are more excited about sports bet, there is a wide array of products available on the platform with something for every preference. The Swisslos platform offers support for mobile with its mobile app available for download on iOS and Android stores. 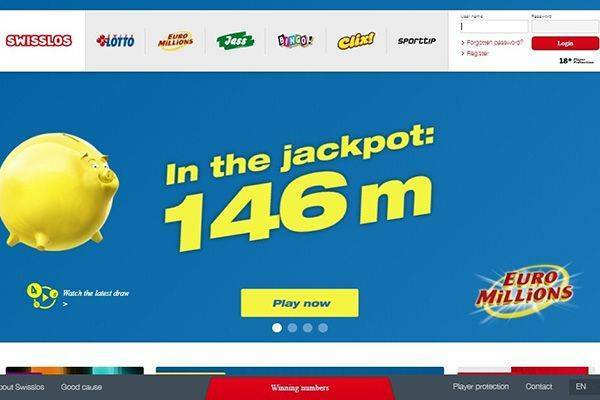 Form Swiss Lotto to Jass, the mobile app provides gamers with the ease and convenience to play games on their smartphones anytime anywhere. Players can also check up on their wins and tickets via the app. Occasionally, the system puts out offers for jackpots and top prizes, app users stand a better chance of winning as they get direct notifications on every update through the app. There are currently no listed promotional offers or competitions on the site, however, Swisslos provides certain bonuses for players like the Instant win bonus. The minimum cost of playing a game is 2.50 francs which are also the value of a Swiss Lotto ticket. However, players do not have to make deposits before they can proceed to play. Additionally, the site charges no winning commissions and there is a minimum withdrawal limit. Players are regularly updated via emails and through notifications on the mobile app. Every prize has a six month validity period and winners are expected to stake their claims in this period. After six months, a prize becomes void and the player can no longer claim it. All winnings over one thousand francs have a 35% withholding tax excluding the cantonal applicable taxes. There is no general FAQ page, just one specific to the ‘Happy Day’ scratch card game. To our opinion, this is something pretty basic and standard. Although there is a bit of relevant information on the site, most of the details are a bit vague. There is no FAQ page for users and there no available information on the agent’s license. The site is however secured by Google Safebrowsing and Norton Safeweb so that’s a bonus. Swisslos has been online for 21 years since the website creation in ’97. The site receives about 250,000 visitors monthly and its recent Alexa ranking is 29,954. 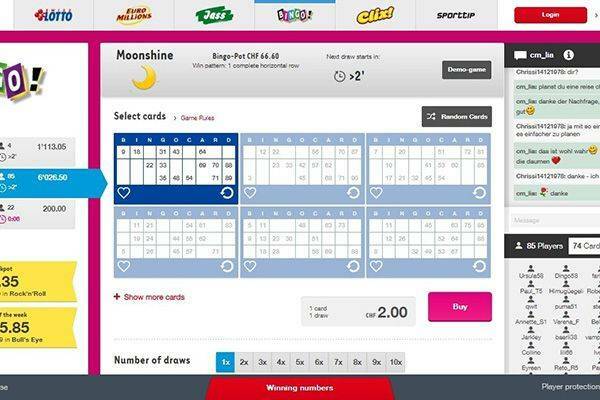 The site falls short of standards for an official online lottery site and could make do with a lot of improvement. The biggest drawback of Swisslos is the language and regional barrier as several interested individuals who are neither fluent in German, French or Italian may be unable to participate in the draws. All the same, with attractive face value lottery tickets and proceeds being channelled back into the society for the charities and public causes, you may be interested in this site if you are from a German-speaking Swiss canton.